For men, having confidence means sporting strong muscles and massive chest. However, it cannot be denied that these body parts are somewhat hard to enhance. Hitting the gym is nice, but if you have a demanding work, you might want to consider taking your exercise routine to your home. Today, we are going to review the top 10 best adjustable dumbbells available online. The following are the best models we’ve found in the market. It can help you to choose the right dumbbells for you and ensure that you get to enjoy working out even if you are not in a gym. 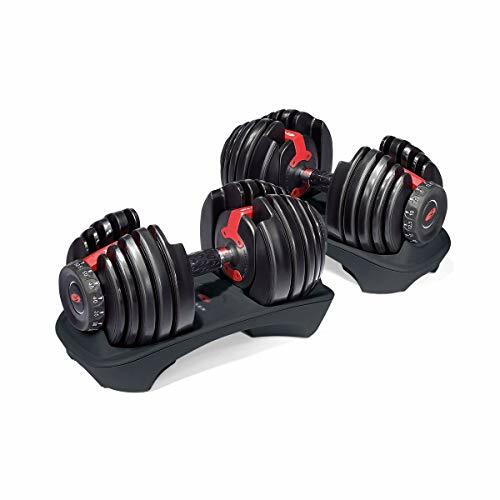 The Bowflex SelectTech 552 adjustable dumbbells are one of the best-selling models in the market so far. You can adjust each dumbbell from 5 to 52.5 pounds, depending on your preference. The minimum increment for adjustment is 2.5 pounds up to the first 25 pounds. In that way, you can switch to your first exercise routine to the other. It features a unique dial system that combines 15 sets of weights into one, making this an excellent deal for those who are on a tight budget. You also don’t need to buy multiple dumbbells, mainly if you have limited space in your house. Buyers can enjoy a two-year limited warranty on the parts and weight plates upon purchasing the product. 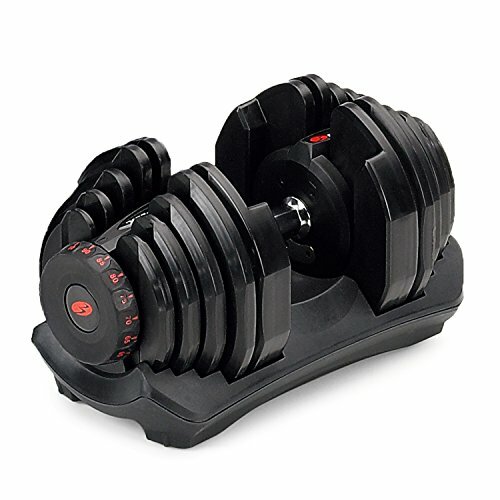 Another product we’re featuring from Bowflex is this single adjustable SelectTech 1090 adjustable dumbbell. Download the application in your phone and track your progress using this product. Now you don’t have to buy 17 sets of dumbbells when you can have it in just a single unit. All you need to do is to turn the dial, and you can choose the weight that you want. From four kilograms to 41 kilograms, you can adjust quickly. You can customize each dumbbell from 10 pounds to 90 pounds. It also has a durable molding that surrounds the metal plates to avoid generating unnecessary noise. Now you can achieve a smooth lift-off during your workout routine. Now that you have a more extensive range of weights to choose from rest assured that you could make total body results. With proper discipline and execution, achieving a desirable body shape has never been more comfortable with the help of this product. Next, we have the Power Block personal trainer seat. The package includes a pair of fully adjustable dumbbell weights for a cost-effective strength training in the comfort of your own house. You can adjust the dumbbell from five to 50 pounds in 2.5-pound increments to achieve maximum versatility. It also features a selector pin that allows you to change the weight with little to no effort at all. It is more compact and balanced compared to conventional dumbbells scattered in the market. The padded handle protects the wrist when using the product. The maximum weight for each dumbbell is 50 pounds. This trainer set is compatible with the Elite/Pro weight stand. Buyers can enjoy up to 10-year limited warranty upon purchasing the product. 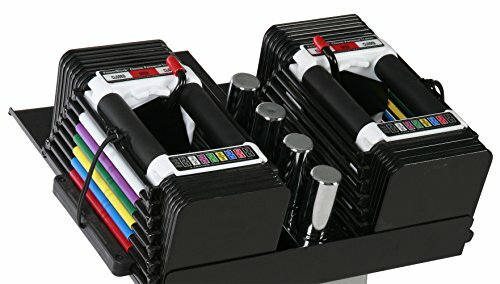 These two 50-pound adjustable dumbbells from Bayou Fitness is a five-in-one adjustable trainer set that comes with a storage tray. You can adjust the weight from 10 to 50 pounds, depending on the requirement of your workout routine. It also features a durable heavy duty chrome plated steel construction that’s designed for rugged use and can take much abuse. This pair of dumbbells is lighter than usual, and it’s designed for both men and women to use. Its solid construction and easy to adjust system is one of the best things about this product. If you are on a tight budget, you should consider it as well. Built to last, this well-designed trainer set can help you to achieve your fitness goals. 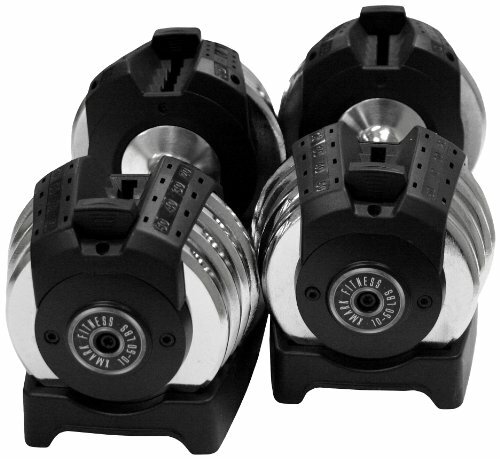 Check out this Starring 65 adjustable dumbbells from Ringstar. This gym quality chromed and spray painted cast iron trainer set is built to last. You can quickly set it up and dismount it using a single hand. The minimum increment for adjusting the size is five pounds (fully adjustable from five pounds to 52.5 pounds for each dumbbell). It also comes with a storage tray for your safety if you are planning to use this dumbbell in your house. The starring patented sporting equipment is sold at a reasonable price. Setting up requires no tools, and it’s 100% safe to use. If you are serious with your workout routine, you might as well invest in dumbbells that can last for a long time. For an improve muscular and body strength training, this dumbbell set is the one that you are looking for! The XMark adjustable dumbbell can be bought in both single or pair. These two 50-pound adjustable dumbbells also come with a storage tray for a safer option when using it in your house. 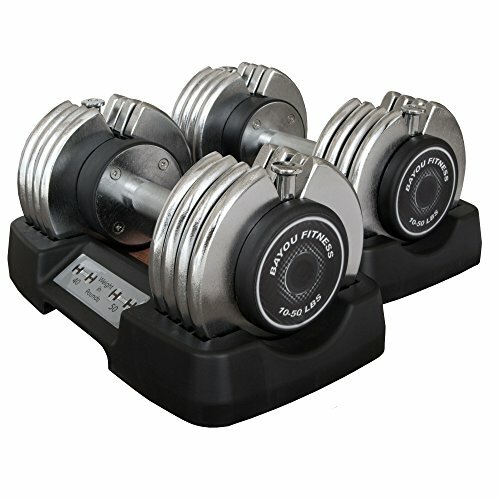 Thanks to its heavy-duty chrome plated steel construction, rest assured that these dumbbells can last for a long time. It is designed to withstand abuse and rugged use for your workout routine. Now you don’t need to buy multiple dumbbells and save your money in the process as well. Its compact design is easy to use. It did not consume much space when placed at home and sold at a reasonable price. It is everything you need when doing bicep curls and shoulder presses at your home or apartment. Introducing the MTN Gearsmith heavy-duty adjustable cast iron chrome weight dumbbell for your workout routine. This trainer set is finished in black paint and chrome coated to withstand abuses and provide protection as well. The single-piece dumbbell kit weighs 52.5 pounds, and its set weighs 100 pounds. For a more secure fit, all the collars and handles are threaded. The plates are made of durable cast iron. It may not be the cheapest models we’re going to review, but it is far by the most durable dumbbell set we’ve found in the market so far. Now you can perform a wide variety of exercise routines in your own home without hitting the gym regularly. 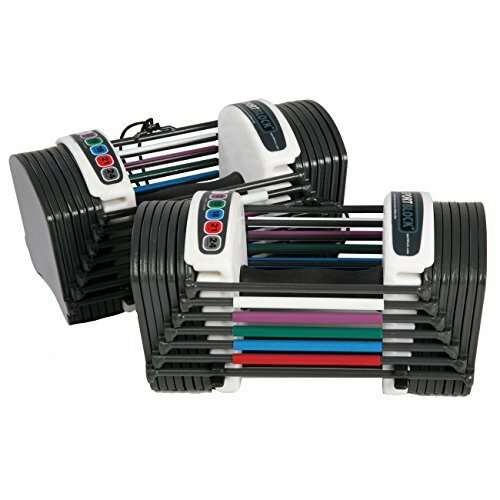 Check out the Power Block adjustable speed block dumbbells (pack of two). This pair of adjustable dumbbell weights is the perfect working out gear for indoor use. You can adjust these dumbbells from three to 24 pounds in a three-pound increment that allows you to perform a variety of workout exercises. The product’s selector pin is easy to use, allowing you to change the weight in just a matter of seconds. Compared to the traditional dumbbells, it features a compact and balanced design. Its padded handles are designed for the protection of your wrist while working out. 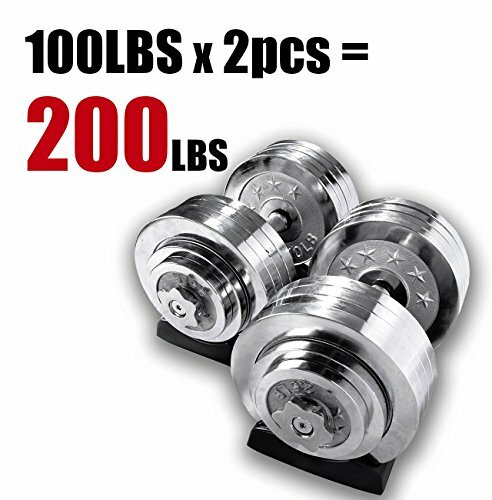 The maximum weight of each dumbbell is 24 pounds, and buyers can enjoy up to 10-year limited warranty upon purchasing the product. 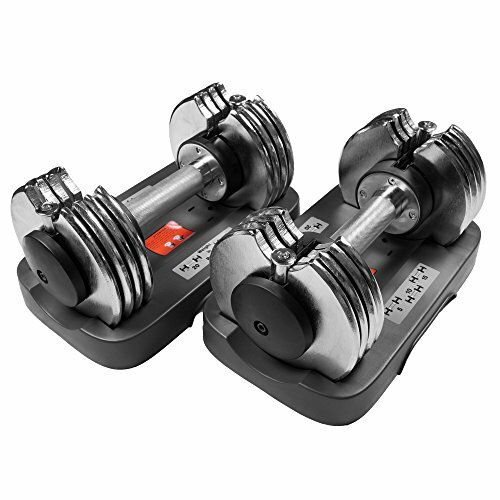 Another product from Bayou Fitness is this pair of 25-pound adjustable dumbbells. Similar to the previous products from the manufacturer, it also comes with a storage tray for secure storage in your house. Rest assured that its heavy duty chrome plated steel construction can withstand rugged use and abuse in the long run. You don’t need to buy multiple dumbbells upon purchasing this product. It is compact and easy to use design also helps you to save both your time and money. It can lift from five to 25 pounds, and it’s easy to change weight. This pair of dumbbells is designed for both men and women to use. You can use the plate alone without the bar if you need a five-pound weight while exercising. 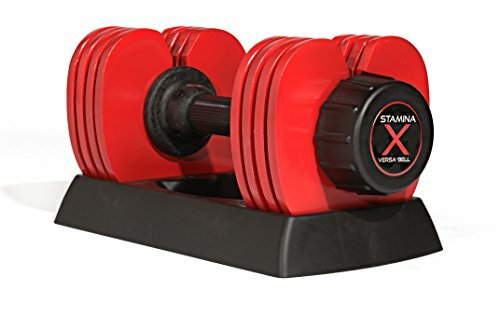 For our last product, we have the Stamina X 50-pound adjustable dumbbells. You can buy this as a pair or just a single dumbbell. Adjusting from ten to 50 pounds is easy. Its ten-pound handlebar with eight weight plates is built to last. The package includes a heavy-duty nylon weight tray for secure protection. It has a five-pound increment for increasing or decreasing the weight. 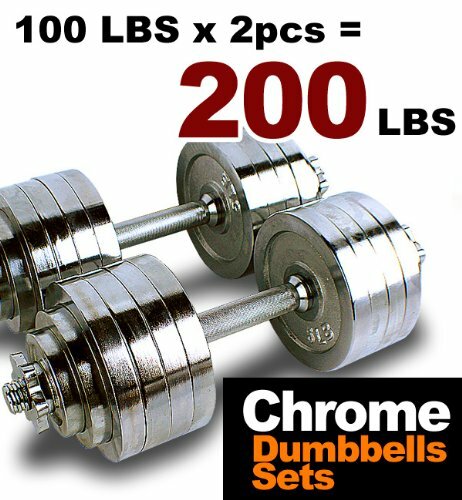 The maximum weight for each dumbbell is 50 pounds. Now you can save both money and space with this product. Rest assured that even with its affordable price, you don’t compromise the safety and quality of the product.